We have recently seen the medical community step up their level of concern regarding protecting Protected Health Information (PHI). Aside from just “doing the right thing” there are business reasons attached. Data breaches are now a regular occurrence and have serious dollars connected to them. Did you know that data breaches in the healthcare industry have increased 32% in the past year and cost an estimated $6.5 billion annually? Additionally, breaches aren’t just a result of hackers. Forty-one percent of healthcare executives attribute data breaches to employee mistakes. Luckily, there is a safe harbor for breach notification – proper encryption and key management. We recently held a webinar titled “Protecting PHI and Managing Risk – HIPAA/HITECH Compliance” and received some excellent questions that we would like to share with our blog readers around encryption, key management, and breach notification. What does the Department of Health and Human Services (HHS) have to say about Encryption and Key Management? The Department of Health and Human Services (HHS) points to the National Institute of Standards and Technology (NIST) for encryption and key management best practices. When an organization has a breach, and their encryption and key management isn’t based on industry standards such as those defined by NIST, you can bet they are going to be responsible for a breach notification – averaging $214 per record or $7.2 million per breach. So when NIST says “This is what we suggest you do,” companies are taking note. WHEN there is a breach – not IF there is a breach – HHS is going to ask how you were encrypting your data. Was your encryption based on standards? How were you managing your encryption keys? Was your encryption a homegrown or proprietary solution? NIST suggests using Advanced Encryption Standards (AES) for encrypting data at rest and pairing it with a proper key management as you would find in our Alliance Key Manager HSM. With NIST certified encryption and key management, you are provably meeting standards and best practices, and in turn, HHS is more likely to say you are exempt from a breach notification. We are a medical software vendor. Are we required to encrypt PHI in our solution? Software vendors and medical equipment vendors have no mandate requiring them to protect the data, but it is a strong recommendation. Keep in mind that both end customers and their patients are expecting their data to be protected the right way and they don’t want to find themselves subject to breach notifications. Implementing proper encryption and key management has become even more important for software vendors as it is becoming a competitive issue. We are seeing our partners finding success because there are still gaps in terms of who is offering this kind of protection – though everyone should be. The other thing to think about, and HHS is quite clear on this issue, is they really want vendors of medical solutions to offer encryption. Although it is not a mandate yet, companies that currently have solutions in the medical segments should be prepared for encryption and key management to become a requirement in the future. As we have seen before, things that are strong recommendations today often end up as mandates tomorrow. View our webcast “Protecting PHI and Managing Risk – HIPAA/HITECH Compliance” to learn how your organization can manage their risk of a data breach and achieve breach notification safe harbor status. 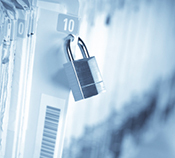 How is Encryption Used to Protect Protected Health Information (PHI)? Townsend Security recently hosted a webinar titled “Protecting PHI and Managing Risk – HIPAA/HITECH Compliance” that focused on how members of the healthcare industry can achieve a breach notification safe harbor if they are properly encrypting their Protected Health Information (PHI). PHI can be stored in many different places – from Electronic Medical Records (EMR) in a database to healthcare claims stored on a laptop by a health insurance company. With fines for data breaches averaging into the millions of dollars, it is more important than ever to protect your PHI. We received some great questions during the webinar that we would like to share with our blog readers. How is encryption used to protect PHI? Encryption solutions are used in a variety of places. Basically those of us that are encryption vendors tend to think of encryption in two ways. The first is encryption of data in motion. For example, if you open a web browser and go to a website that uses HTTPS and the “lock” comes on, you are encrypting your data as it is “in motion.” Typically, SSL or TLS encryption is being used. These technologies protect any information that flows between your web browser and that endpoint – making it safe to send PHI like a social security number or medical records online. Second, we think about securing data at rest. This typically means data that is in a database. When you go to the doctor and he interviews you and puts his results into the computer, that data is landing in a database and it needs to be protected. AES encryption and proper key management are necessary to protect this data. Our database software has encryption options. Why would we need a third party software? Lets start with an example. Encryption is part of the package when you purchase Microsoft SQL Server 2008 Enterprise Edition or Oracle 11g with Advanced Security. So you might say to yourself, “Why do I need something else if Microsoft offers encryption?” In these cases, you are sitting in a good place for the cryptographic portion, but still need encryption key management to meet any compliance regulation. To line up with industry standards for encryption best practices, you need to have dual control and separation of duties. To do this you need to physically separate the encryption keys from where the protected data lives (Your SQL Server or Oracle database). It is great when a vendor provides encryption as part of their database software, but it only gets you halfway to where you need to be. An encryption key management Hardware Security Module (HSM) will bring you in line with best practices for dual control and separation of duties, allow you to pass your audit, and achieve safe harbor status in the event of a breach.